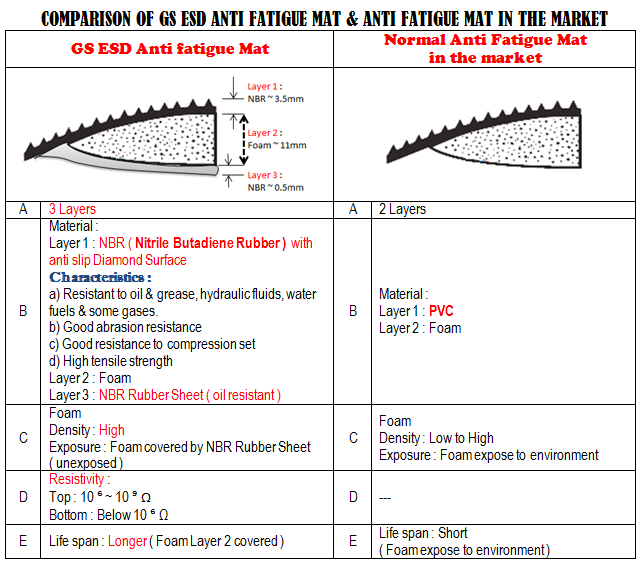 What are ESD anti-fatigue mats ? ESD Anti fatigue Mat is suitable for assembly lines and other workplaces to reduce individual workers' fatigue from long-standing jobs. Ideal for use in heavy-duty environments , Electronic Manufacturing, Pharmaceutical Plants, Cleanrooms, Fiber Optics, Electronic Assembly, Electronic Warehousing, Circuit Assembly, Aerospace and Hospitals. 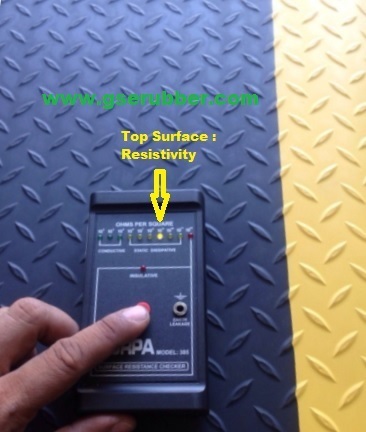 1) The top surface ( NBR rubber ) is resistant to oil , acid and alkaline & Resistivity readings at 10 ⁶ ~ 10 ⁹ Ohm ( dissipative ) . 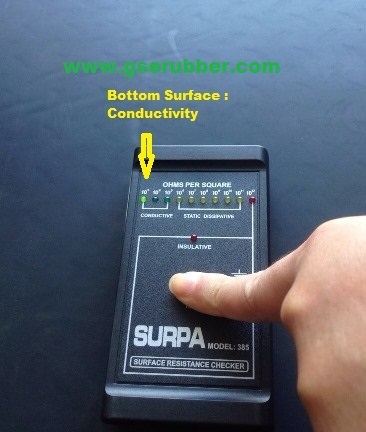 Bottom sponge resistivity is less than 10 ⁶ ohm ( conductive ) . 3) ​ Durable , slip-resistant surface with diamond pattern texture and easy to clean , resists most common fluids and chemicals. 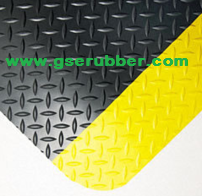 Black with high-visibility yellow stripe border. 4) Available in Yellow border / Black colour OR Whole piece Black colour mat . 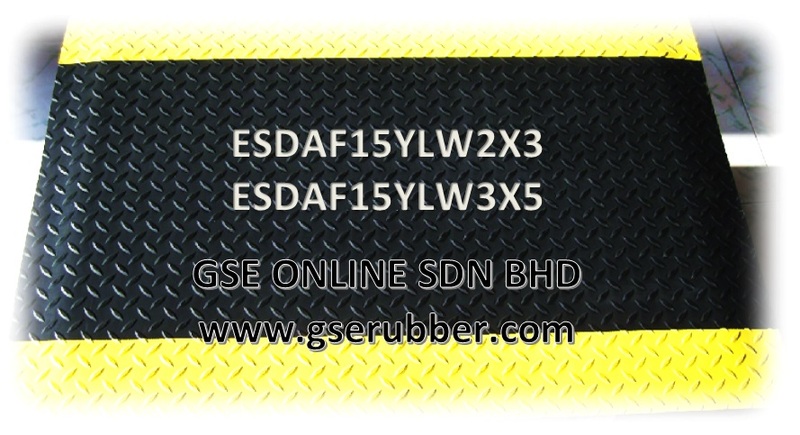 ESD Anti Fatigue Rubber Mats also known as static ESD Floor Mats ( Electro-Static Dissipative Anti Fatigue Mat ) are made of synthetic rubber designed to provide comfort and reduce worker fatigue when used in static sensitive environment. The bottom surface is made of foam / sponge type and has a good function to release the stress of the legs , but also gives a pathway of static electricity charged in human body to ground. 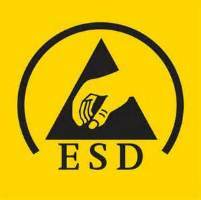 ESD Anti Fatigue Mats, also known as ESD Anti Fatigue Floor Mats, are made of ( ~15mm ) 9/16" thick closed-cell EVA foam material designed to provide comfort and reduce worker fatigue when used in a static sensitive environment. Surface Resistivity is low to mid 10⁹ Ohms. This mat is the most economical antistatic fatigue mat available. The construction design of the ESD Floor Mat allows for effective static charge removal at a non-damaging flow rate and the emboss pattern makes it slip resistant. 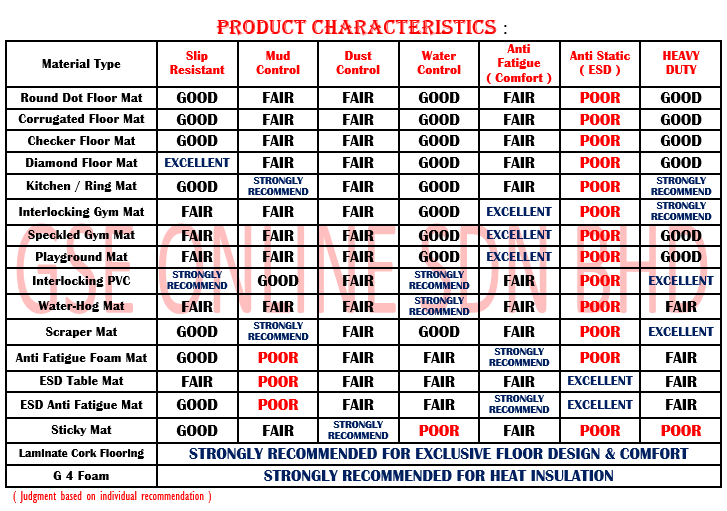 At the same time, the ESD Anti Fatigue Mat is known to maintain a consistent discharge throughout the life of the mat with no noticeable deterioration of effectiveness. Resistant to degradation by inorganic acid, organic acids, detergent solutions, alcohol and mineral oil. 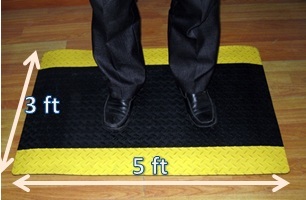 The mats are designed to reduce fatigue that is caused by standing for long periods on hard surface (e.g.,. cement floors). Fatigue-reducing mats can be made of various materials including rubber, carpeting materials, vinyl, and wood. 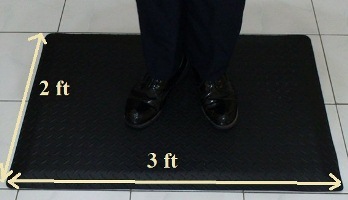 The diamond plate surface of the mat provides a simple manipulation of areas of the feet. This in turn relieves tension and breaks up patterns or stress in other parts of the body to an amazing extent. Anti-fatigue mats are often used to decrease foot weariness for workers who stand in one position for long periods. However, providing a mat may not solve the entire problem. Discomfort, tiredness, and sore feet after long hours of standing are the combined effect of several factors, namely the design of the work, the workers' footwear, and the flooring material. According to scientific data, standing for long periods of time is particularly stressful and fatiguing. Regardless of the quality of shoes and quality of the floor covering, standing itself can cause tiredness after an entire working day.